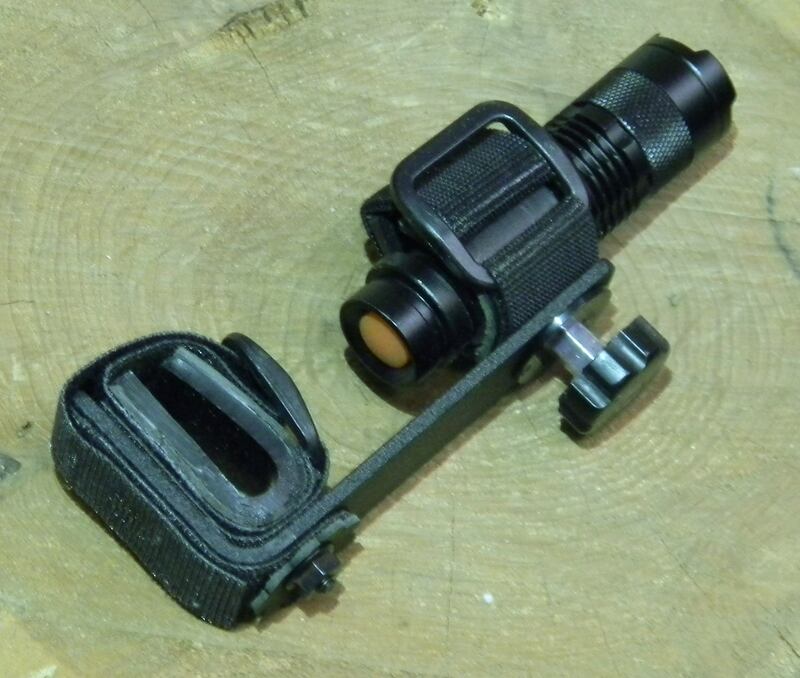 This is a very convenient light utilizing the EFA Talon Grip system to fasten securely to the bow. The LED flashlight uses a "AA" battery. and will focus from floodlight to a narrow and bright beam for distance. It also swivels for shooting or walking out of the woods. For raccoon, hog, frog, or whatever, it makes a very useful light. They sell for $40.00.